Congratulations to Butler Ford’s David Welch! Earlier this month David was honored with the title Senior Master Technician, a level of skill that takes years and hundreds of hours to studying and testing to achieve. 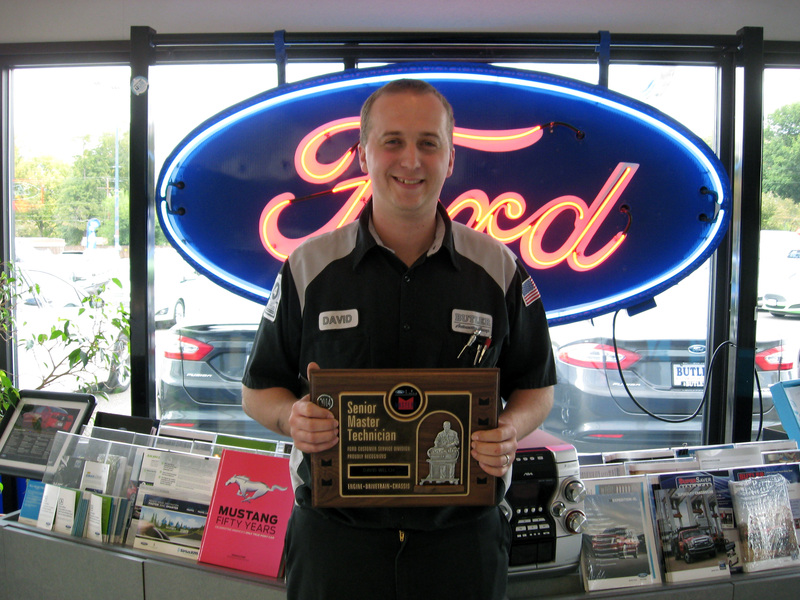 A Ford representative even stopped by to shake David’s hand and give him a cool plaque! David joins Butler’s other three Senior Master Certified Techs. We’re so proud of them all!